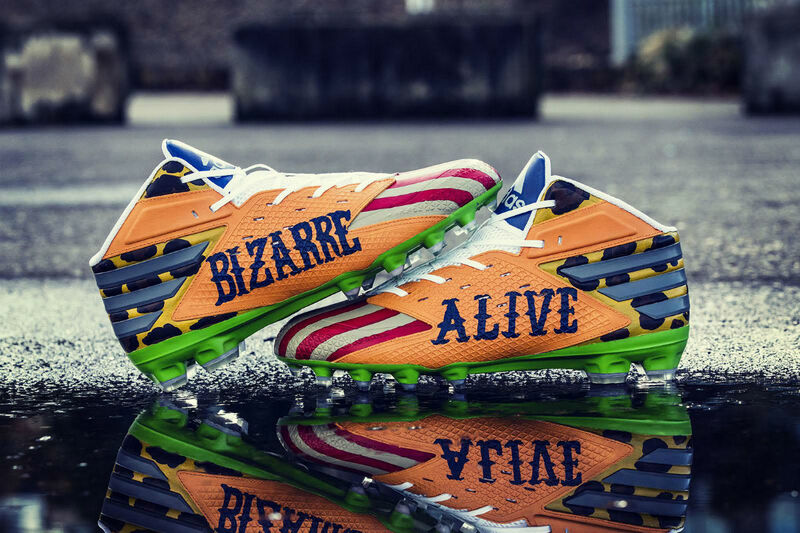 Because the freaks come out at night, Adidas is lacing the face of its "Freak" campaign with a pair of custom cleats for Monday Night Football. 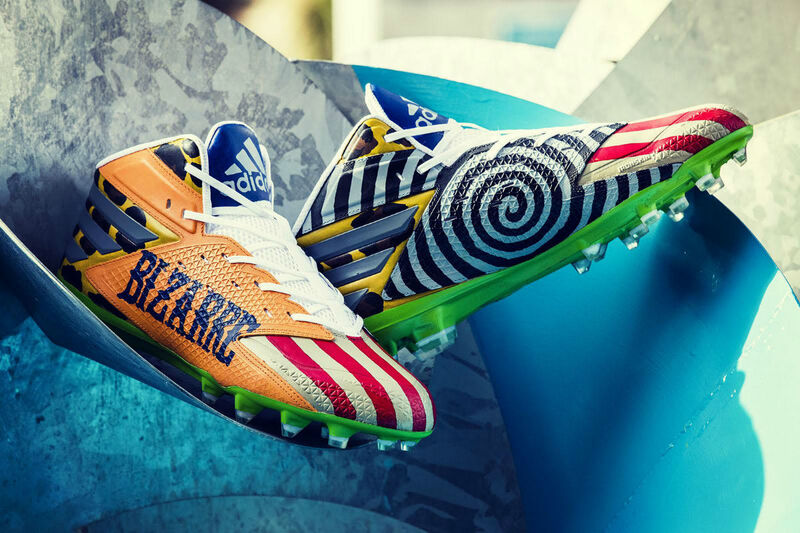 Denver Broncos linebacker Von Miller's Adidas Freak cleats have been treated to a freak show makeover, inspired by old school traveling freak shows that featured the natural wonders of the world. Panels represent traditional circus tents, circus signage hypnotism, strong man outfit leopard print and "Alive" and "Bizarre" graphics. A fitting look for one of the natural wonders of the NFL. Look for these cleats on the field during pregame warm-ups tomorrow in Denver when the Broncos host the Houston Texans.